Make way for Kylo Ren and the First Order Stormtroopers! 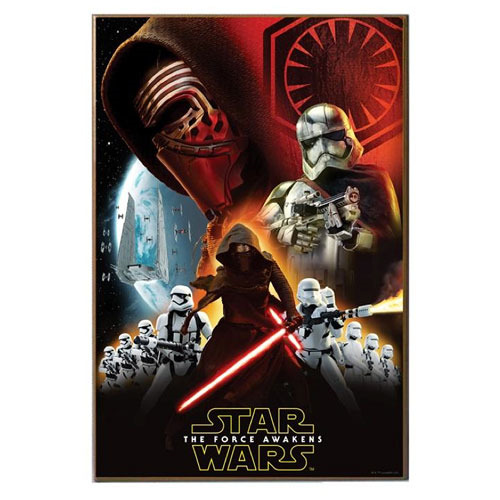 This Star Wars: Episode VII - The Force Awakens Kylo Ren with Stormtroopers Wood Wall Art features the villain with his lightsaber in hand, standing in front of a regiment of Stormtroopers. It would look amazing on your wall! Measures 19-inches by 13-inches. Ages 14 and up.